Muslim Parenting: Why is Connecting with Your Child Important? Why is Connecting with Your Child Important? There's a trend that I'm seeing in parenting and it all leads to connecting with your child. 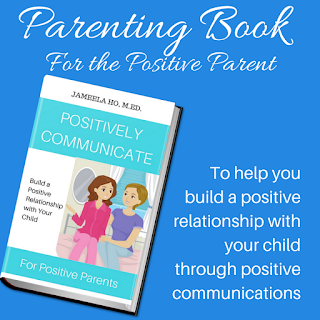 Look up Positive Parenting and the key to disciplining children is to connect first before you teach your child to problem solve the situation. Connect before you correct is the catch phrase here. Try Peaceful Parenting and one of their most effective strategies for dealing with what they call off-track behaviour is to connect with your child by staying or sitting with your child as he undergoes a big emotion. As you stay connected in this way your child gets to release all the emotional tension inside. You reconnect so your child can be back on-track. Attachment Parenting is about being attentive to your baby's needs and responding to them. When you do this, you build a strong connection between your child and you. (You can read more about Attachment Parenting in my Child Development book inshaAllah. Will provide links when it's out.) 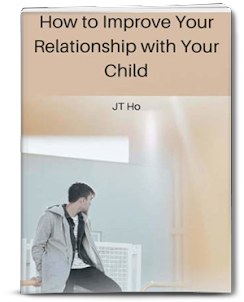 From Attachment Parent comes Connection Parenting, which focuses on the relationship with your child. Of course, there's Conscious Parenting which focuses on being in the present moment with all your interactions or connections with your child. You can read my review of it here. 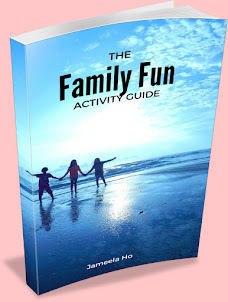 I'm sure there are many others and what I think you'll find is that they will all gradually focus on ways to connect with your child, if they haven't already. Why is there a trend towards connecting with your child? I think we are all done with materialism and are coming to realise that what really matters in this life is the quality of the relationship that you have with others and how you treat them. (This is what Islam is about and one of the things that you will be judged on.) So people are reinvesting in the relationships that they have, especially with children as nothing else seems to work. 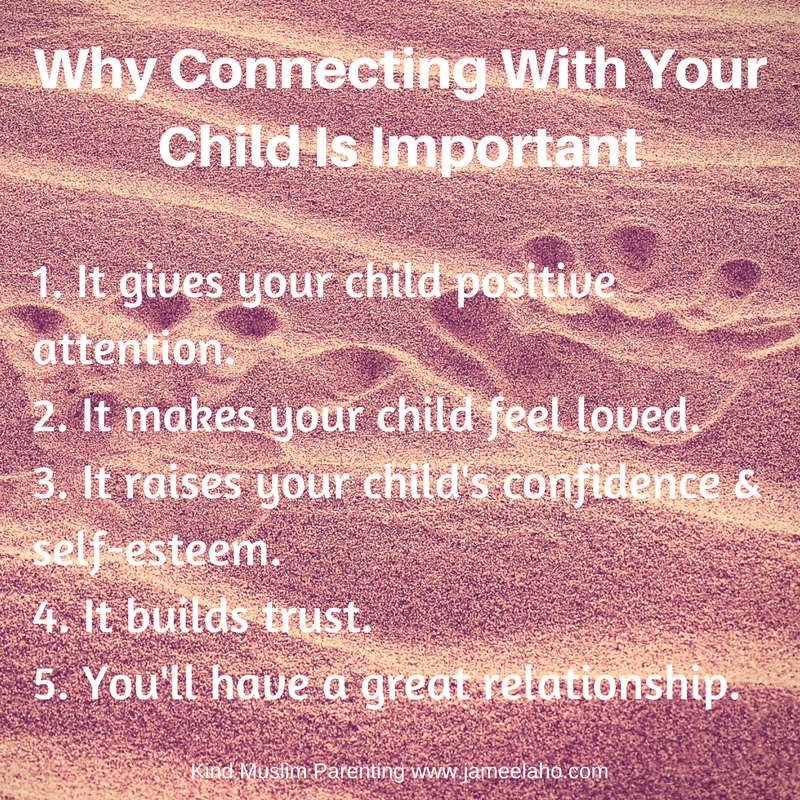 So why is connecting to your child so important? Your child craves your attention. 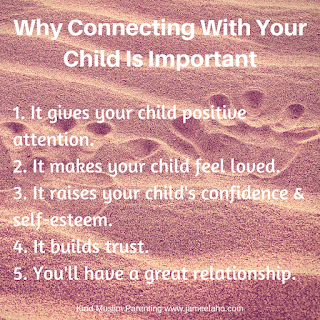 When you're connecting with your child you're doing all the things that contribute to positive attention such as smiling, kissing, hugging, playing, talking and listening. This type of attention is so much healthier than the type that most children get when they've done something wrong. Your child needs to know that he matters to you. When you're connecting with your child it tells him that he's important to have your attention and your time so he'll feel that he's loved. All children who are loved and given positive attention have high self-esteem because they are confident in their parent's love for them. Since you've taken the time to be with your child and offer him love and support, he'll trust that you have his best interests. Your child will be more likely to listen to you and he will tell you about all his worries and secrets. What are some ways that you can connect with your child? As usual, we'll look at how our Prophet Muhammad, peace and blessings be upon him, connected with the children Companions in the next post.